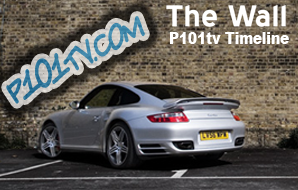 Channel P101tv is a vibrant, friendly group of people who share a common passion for Porsche. They enjoy sharing their passion and enthusiasm by creating and uploading videos, pictures and engaging in social chat. Channel P101tv positively encourages participation in its community from members all over the world and we sincerely hope that all members contribute positively and supportively to the Channel P101tv community. Our aim is to provide a community that all members can enjoy. We therefore ask all members to keep their discussions at a professional, friendly and polite level. You are of course free to disagree and provide critical feedback, but please keep it respectful. If you wouldn't like something said to you, then don't say on Channel P101tv. If you cannot conduct yourself in a respectful manner, you will be banished forever. By Joining the Channel P101tv community you agree to follow our guidelines. If you don't agree with any of the guidelines, then please do not participate in the community. Failure to follow these guidelines may result in your account being suspended or terminated forever. Before uploading videos and pictures to Channel P101tv please ensure that you are the copyright holder of the content. If you are not the primary copyright holder then ensure you have explicit written permission from the copyright holder to share their works on P101tv. You may not upload materials that include advertisements at the beginning, during or at the end of the video. You may not upload videos relating to multi-level marketing, get-rich-quick schemes, cash gifting, work-from-home businesses, or any other so called money-making schemes. 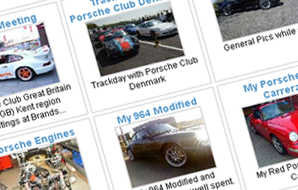 This is first and foremost a Porsche Community website, so any materials not related to an aspect of Porsche may not be uploaded. 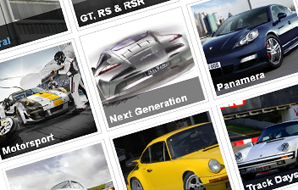 Any material not related to a Porsche topic will be removed. Any content such as videos, pictures, posts or messages that are derogatory, abusive, vulgar, hateful, harassing, obscene, profane, sexual or pornographically related, threatening, rude, mean, nasty, invasive of a person's privacy, or otherwise against any reasonable standard of behaviour will not be tolerated. Such content will be removed without prior warning and membership of the community will be terminated forever. The Administrator or Moderator(s) decision is final in regard to any matters in regard to these guidelines. Pay due recognition to intellectual property or copyright of third parties. Do not post information that breaks such intellectual property or copyright or any non-disclosure agreement, or any such other prohibitive agreement. Member should use their best endeavours to post topics in a subject area most appropriate to such topic. objective criticism is welcome in discussions. However undue criticism is not acceptable. Any abuse of the community rules should be notified to the Administrator or Moderator(s). Our Preferred Do's and Don'ts for participating in the Channel P101tv Community. Please DO upload videos, pictures, post comments as often as you feel the urge. The community only becomes useful and enjoyable to all when there is lots to read and discussion threads in which to join. 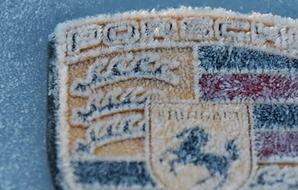 Please DO tell all fellow Porsche-a-holics about the community and encourage them to join in. Please DO report any abuse of the forum rules and the Administrator or Moderator will deal with the report as quickly as possible. Please DO take into account these Community Guidelines. Please DON'T reproduce emails sent to you privately or in confidence. Please seek the originators permission first. Please DON'T post messages entirely in capital letters. Your creativity and thoughts matter. Channel P101tv is here for you to get involved, so go ahead and share your video creations, pictures and thoughts! If you any questions or comments about these Community Guidelines please contact us.